Why not try the custom 3 packs jumbo chalks as the tote bag insert for your next trade expo? These are CPSIA approved safe items for kids. It measures 4 ¼”. 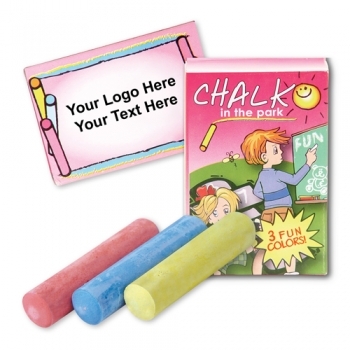 These chalk pack includes a trio of assorted color sidewalk chalk for outdoor promotions. The promotional 3 pack jumbo chalks are inexpensive brand promotional items. You can select either imprinted or non imprinted chalks that suit with your marketing scheme. 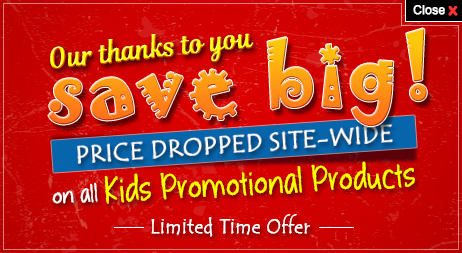 The personalized 3 pack jumbo brings you results beyond your expectations disclosing your brand name. Get your brand name imprinted on these sidewalk chalks for better brand vicinity.